The reassuring phrase ‘muscle weighs more than fat’ can be heard reverberating in gyms across the country, but how much truth is there to it? A registered dietitian at Baylor College of Medicine says not much. They key is that the way you look is going to be influenced by the type of tissue in your body, Anding said. 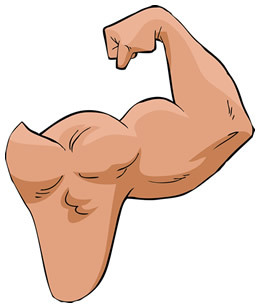 Muscle is more compact than fat, so if you gain lean body mass, it is firm and occupies less space than fat. Lean body mass is gained by consuming a diet adequate in protein, with protein distributed throughout the day at each meal, she said. In addition to eating adequate protein, Anding said that resistance training is the other important part of the equation. “Training hard enough to fatigue the muscle signals the muscle to adapt and get stronger,” she said. For examples of good resistance training workouts, Anding recommends consulting with a trainer who can teach you the proper mechanics of resistance training exercises. Anding said that it can be frustrating when the numbers on the scale does not move. “Let’s say you are reducing your calories, eating adequate protein throughout the day and strength training. You can lose 10 pounds of fat and gain 10 pounds of muscle and the scale shows no change. If your goal is to lose body fat and get stronger, a traditional scale may not be your friend. Advanced body composition tools that determine the percentages of fat, muscle, bone and water in your body can give you a better assessment of body composition changes,” Anding said. At the end of the day, Anding said that focusing on consistency with diet and exercise will lead to success.